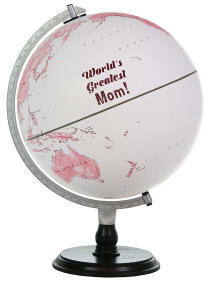 The World Greatest Mom globe offers a perfect contemporary contrast between white / burgundy velvety globe sphere and ash wood black base riser. 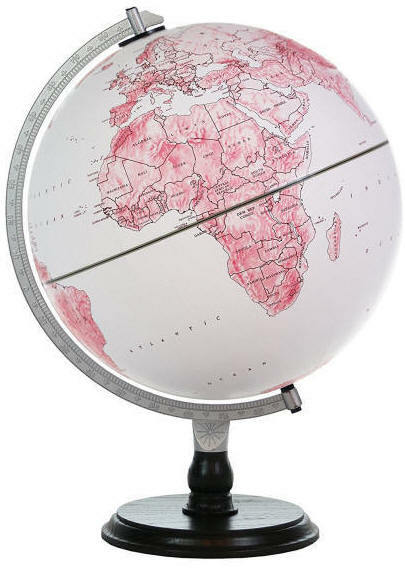 Burgundy colored text highlights the up to date political boundaries and geographic information. Raised relief cartography. Mindful of sustainability, the globe sphere is made from reclaimed paper fibers.